Dreading the upcoming season with your family? Here are 3 fun ways to get you through the Holiday humdrum. Solution: Liven up the party with some karaoke! 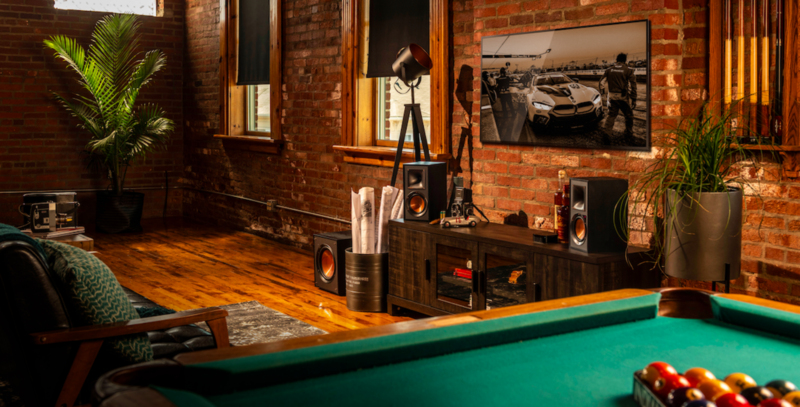 Thanks to a built-in amplifier and a multitude of inputs, Klipsch powered speakers provide an easy karaoke solution. And if you're looking to crank up the party to Madonna-Level, plug these powered speakers into the The Singsation MAIN STAGE All-In-One Party System. It has everything a performer would need to dazzle an audience with 60 voice-changing settings, 25 color-changing light modes and 10 sound effects to create an audio and visual spectacle that will blow the lid off any performance (not saying mom needs any help after two glasses of eggnog). Let’s face it, not everyone will be in the same room at the same time. And worst of all, no one likes the same music. Dad loves country, that creepy brother-in-law is obsessed with rap, and your eccentric sister really digs the blues. Solution: Klipsch Stream® Wireless Multi-Room Audio. Simply connect each device to Wi-Fi and control different zones using the Klipsch Stream app. Now everyone can enjoy their own music anytime, from any room. And when you feel like annoying everyone with your favorite holiday song, take control by blasting “Grandmother Got Runover by a Reindeer” throughout the house. Honestly, sometimes there is no escaping our family. We love them, but on occasion, we desperately need to tune them out. Solution: Keep a pair of R6 II or R6i II in-ear headphones handy. Klipsch patented oval ear tips provide the perfect seal for passive noise isolation and superior bass response, returning you to Zen, even in the most stressful of situations. Case in point, the next time grandpa recounts the time you ate too many snow cones before riding on the Ferris wheel – insert headphones. We want to hear from you! Tag @klipschaudio in a photo that describes how you survive the holidays with Klipsch. Be sure to use the hashtag #survivetheholidays. Share your post via Facebook, Instagram, or Twitter, anytime throughout November and you could win a sweet prize pack.